PAROWAN — Authorities are blaming slick roads and snowy conditions for single-vehicle rollover Thursday morning at milepost 9 on state route 143. 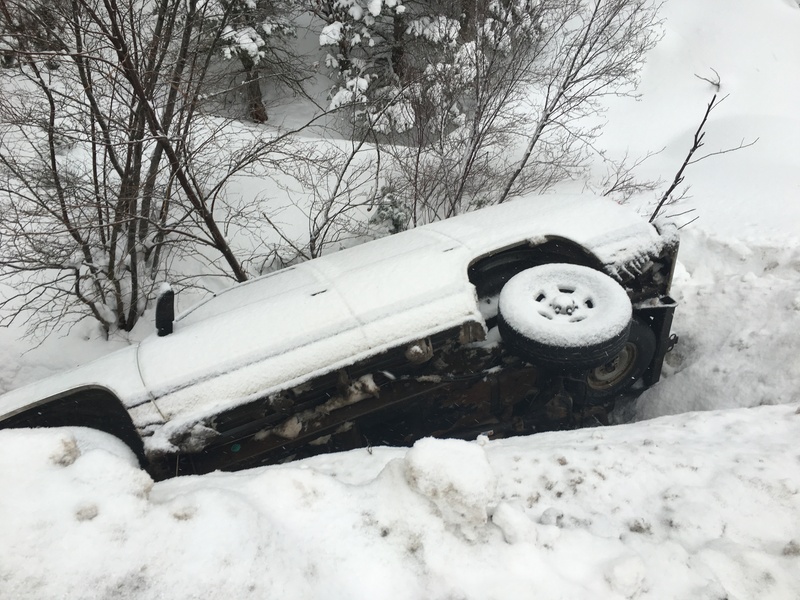 The Brian Head Marshal’s Office responded to the accident at approximately 7:30 a.m. Deputy Marshal Tom Cowan said the female driver, the only occupant in the SUV, was on her way to work when her car slid off the road into a wash. The roads had not yet been snowplowed when the accident occurred. Authorities did not release any details on the driver but said there were no major injuries reported. Cowan, who arrived on scene later, said he was unsure whether she was transported to the hospital. With many of the roads in Iron County still snow-covered and icy from the recent winter storm this week, police are asking drivers to please use caution and to slow down when driving.